One of the most respected high-tech companies in the world has created their own currency to stretch company assets for innovation. The new Hewlett-Packard Tycoon currency will be allocated and based on actual use and need. It?s a virtualized, market-based system for managing and delegating computer resources. Tycoon pulls a company?s IT (information technology) services into an abstract utility layer, and users can barter or bid for it within their own companies or among others. It works like this: Within a company, employees are given a certain number of tokens per year to spend on computing resources. The more urgent a user deems the need, the more tokens he can bid for use of the equipment. Users who provide resources can, in turn, spend their earnings (tokens) for using resources later on. Hewlett-Packard has been testing Tycoon since November 2004 at its Singapore offices and in several European locations. This summer a pilot project took place with a Scandinavian company. Engineers will use Tycoon to bid on access to high-powered computers needed for simulations. H-P says marketing a commercial Tycoon won?t happen anytime soon because the technology represents a major shift in business processes. But in the future it?s expected to provide businesses that otherwise couldn?t afford high-powered computing, to be able to access leading-edge technology through Tycoon. Joe Uva, president & CEO of OMD Worldwide and president of Omnicom Media, will be the keynote speaker at the Broadcast Advertising Club of Chicago and the Chicago Interactive Marketing Association?s day-long program on September 21. The event will focus on the convergence of the broadcast and interactive platforms. As president of Turner Entertainment Group Sales & Marketing, Uva developed integrated marketing programs and oversaw its barter and trade operations. For more information on the event: http://www.chicagoima.org. The online travel boom continues as the number of travel web sites has grown by 25% in the past twelve months. Over half of those global sites are located in the United States. Six years later, in 2003, new consumer protections were added in AB 2473. That bill required any company issuing a gift certificate to honor that certificate even if the firm filed for bankruptcy. California passed another law specifically prohibiting expiration dates or service fees on gift cards sold after January 1, 2004. The only exception were cards that hadn?t been used in more than 2 years and with a value of less than five dollars. In 2003, a BarterNews cover story (issue #61) was titled, ?IMS Quietly and Methodically Is Building A Barter Juggernaut!? National Trade Association (NTA) and it?s subsidiary, Illinois Trade Association (ITA), in business since 1983 and the largest independent trade exchange in America, is joining forces with International Monetary Systems (OTCBB:INLM). IMS Barter will now possess a huge client base of 15,000 quality member businesses and over 22,000 cardholders. Don Mardak, CEO of IMS, was ecstatic, ?This merger of America?s two leading trade exchanges adds a whole new dimension to our company. NTA/ITA owners Jack Schacht and Joan Varner are two of the most respected people in the barter industry. ?Their visionary leadership over the years has set new standards for all of us and has established a level of excellence that few have been able to emulate. We couldn?t be more pleased than to be associated with these two outstanding people. Both will work with us during the transition and will continue to share their wisdom with us in the future. ?From our perspective, NTA/ITA is the ?Jewel in the Crown? 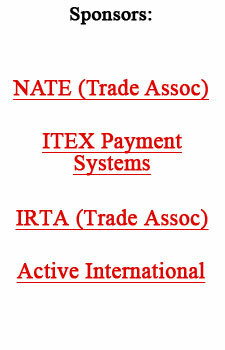 among our acquired trade exchanges. This transition will have a greater impact on our revenue and trade volume than any others have had in the past.? Mardak also emphasized that in the acquisition he would be utilizing the personnel of NTA?s National Trade Division, which provides IMS Barter with an instant entree into the world of corporate barter, where larger transactions are consummated between manufacturers, major hotel chains, airlines and national advertising venues. For more information on IMS: http://www.internationalmonetary.com. Additional details regarding the merger can be seen in the form 8-K filed by International Monetary systems at: http://www.sec.gov. After working all day to cover the bills, Jack Schacht would sit down at his kitchen table after dinner and work late into the night on his real passion?the barter business. Fighting continual fatigue and the financial needs of the new startup was a mental challenge. Months later, Vasser-educated Joan Varner heard of the possible business opportunity with Schacht and arranged a meeting with him. It was a leap of faith when she courageously stepped up to the plate and invested the financing needed to jump-start the dream. Thus was born Illinois Trade Association (ITA). What a unique partnership. Schacht, the ambitious dreamer with his sky-high aspirations and sometimes far-out ideas, was tempered by Varner?s level-headed, always practical, questioning and balanced approach. It was a match built on mutual respect for each other?s contributions...and it has thrived for 24 years. For decades it was their ?lead-by-example? philosophy, which built ITA into the largest independently-owned trade exchange nationwide, that inspired many struggling peers to persevere...staying the course on a roller-coaster-like ride in a young and struggling industry. In addition, with their large member base, they routinely traded ITA based goods and services to their peers so they could enhance and improve their operations. Schacht, an aspiring Shakespearean actor while in college, would regularly provide a motivational stimulation to attendees at the industry?s annual conventions. Along with his poignant observations and pithy advice was his upbeat, can-do attitude. ?Yes it can be done, but you must catch the fire!? was always his clarion call. Without a doubt the founders of ITA had an immense and positive impact on the barter industry. Much more than they will ever realize. These two progressive leaders now move onward toward the proverbial sunset, to enjoy the fruits of their achievements. The industry thanks you, Jack and Joan, for your considerable contributions, and we wish you all the best in your future endeavors. Herb Steck (ITEX broker) replied: This is simple math. A round trip ticket on American Airlines is 25,000 points. This equals about $112.50 at Amazon.com through Points.com. Who would give up a round trip ticket worth up to $650 for $112.50 at Amazon.com? I see this whole system failing in a matter of months at these ratios. A 500% markup is a little too much. Bill Gross, CEO of Newport Beach-based Pimco, the world?s largest bond fund with $450 billion in fixed income securities, shared his thoughts regarding the housing market. ?To think that all the boomers have to do is sell their homes to pay for retirement and health care begs the legitimate question of ?to whom and at what price?? ?If there are fewer X?ers and Y?ers to unload even their second homes to, rudimentary supply/demand curve analysis suggests prices must adjust downward to facilitate the transfer, incorporating the ability of immigrants and future first-time buyers to afford what now seem to be unaffordable starter homes. ?Similar logic applies to holdings of domestic stocks, bonds or any other ?asset? which boomers count on individually to fund their retirement needs, but which collectively must be unloaded to a smaller demographic of tentative buyers.? ?We are convinced the property market is going to continue to surprise on the downside, and the knock-on effect on consumer spending and job creation is also going to surprise on the downside.? A new analyst report suggests that radio is in for some tough times ahead. James Boyle, vice president and senior analyst for CL King & Associates (an investment research firm with offices in New York and Boston), paints a less than flattering picture of the radio industry. ?Why should the plunge radio stocks have taken the last 30 months reverse itself when the industry?s prospects haven?t brightened sufficiently? ?All the trends are weak to disappointing, if not downright depressing,? he contends...and this from an analyst whose family has been in radio for 50 years. Among the red flags pointed out by Boyle: Erosion. He suggests it is worse than industry observers realize and is accelerating. ?Radio listenership is actually declining faster than analysts, investors and journalists thought.? He says the rate of that erosion is inexplicably faster among women, which he points out is counter to conventional wisdom. ?This is not a good trend,? Boyle notes. According to his report, radio?s latest quarterly ratings book reported the worst year-over-year drop in the last 10 years, with listenership down nearly 3%. Additionally, the industry?s traditionally strong advertising categories are cutting back. The CL King report says the telecom industry, for example, purchased 35% fewer radio spots in 2005 compared to 2004. The auto industry, another important buyer of radio, is also looking elsewhere. ?Too many of us have for too long kidded ourselves that the radio sector was, is, or is soon to be poised for a marked upturn,? Boyle admits in his report.